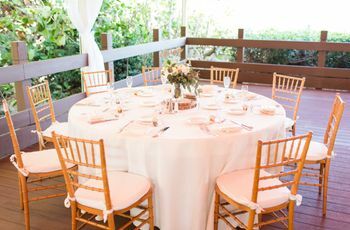 Host an amazing party the night before your big day at one of these rehearsal dinner venues in Atlanta. 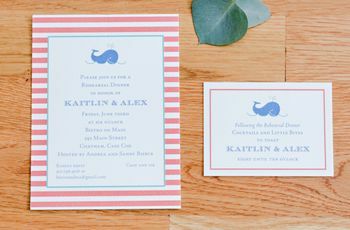 Finding rehearsal dinner venues in Atlanta, Georgia isn’t the easiest task. 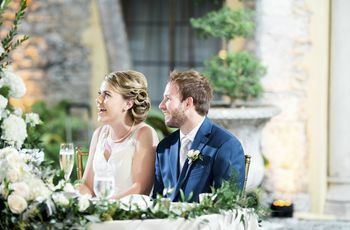 Not all restaurants offer private space or can accommodate large groups, and rehearsal dinner guest counts are usually too small for larger, more wedding-appropriate venues. However, we scouted out some of the best locations for a rehearsal dinner in Atlanta that will provide you and your loved ones with food, fun, and a lovely atmosphere for the celebration before the celebration. Many of these spaces can make great Atlanta wedding venues as well, particularly for more intimate and relaxed events. 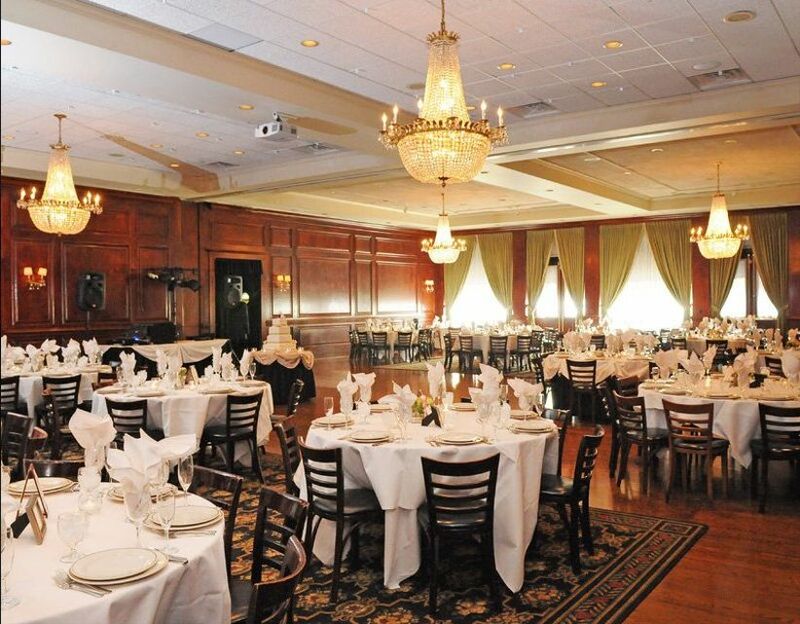 Check out some of the best rehearsal dinner venues in Atlanta. 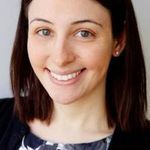 There’s a reason why restaurants are among the most popular rehearsal dinner venues in Atlanta—you’ll find delicious food, professional staff, and a great ambiance that needs little to no added décor, making planning an absolute breeze. 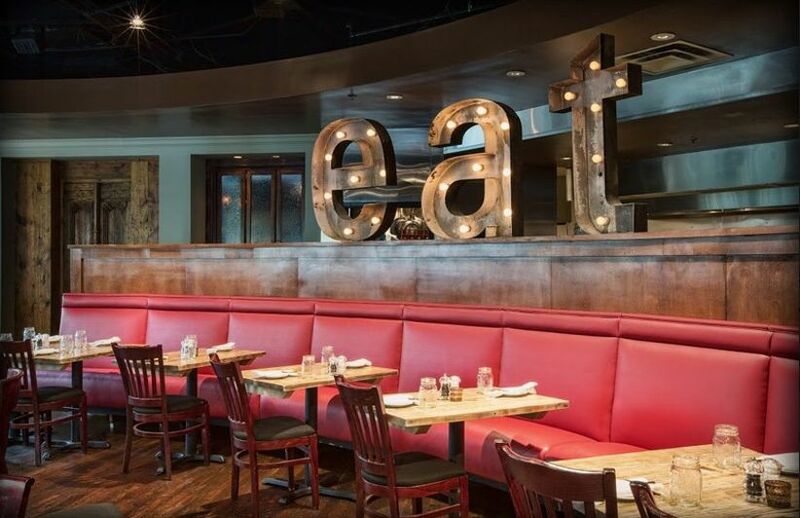 Conveniently located in the Perimeter Mall, this two-story Italian eatery offers a variety of different private rooms and event spaces for parties of up to 300 guests. Choose between an array of Italian favorites, including chicken parmesan, veal piccata, and parmesan-crusted tilapia, served sit-down, buffet, or family style. Whether you’re hoping for a more casual rehearsal dinner or a something a bit more formal, Maggiano’s is a perfect place for a rehearsal dinner (it’s a lovely Atlanta wedding venue, too!). 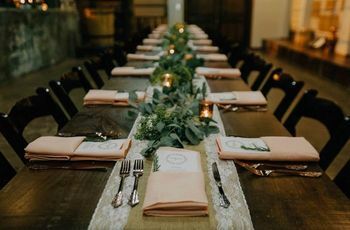 If you’re looking for a rehearsal dinner venue near Atlanta, this Decatur restaurant recently expanded to include a 90-seat private event space for your celebration. You can also rent out the entire restaurant for parties of up to 100 guests, or rent one of the smaller spaces, like the lounge area or Slash room for more intimate special events. You and your guests will love the twist on Southern cuisine, including chicken and waffles, gumbo, and roasted quinoa (and much more! 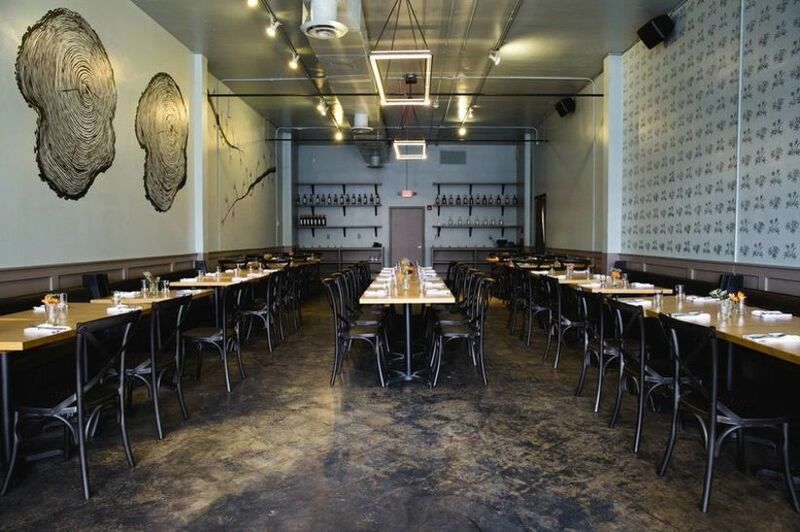 ), plus the ambiance has a cool and modern industrial chic vibe. There are a variety of packages and tasting menus starting at $30 per person to fit any budget. This popular lounge in the Virginia Highland neighborhood is also a great spot for a casual but modern rehearsal dinner in Atlanta. We love the space’s industrial feel which includes brick walls, high ceilings, five (yes, five!) fireplaces, and a 400-square foot terrace with skyline views. This is an ideal spot for a relaxed, cocktail-style rehearsal dinner, though you can also host a seated dinner here. The Warren City Club can accommodate up to 125 guests for a cocktail-style event, and 80 guests for a seated dinner inside the dining room (more if you include the terrace). There’s a wide variety of food and drink packages to choose from, whether you’re into sushi or pigs in a blanket. At this Roswell restaurant, you’ll find a 2,100 square foot private dining room on the second floor, which can accommodate up to 75 guests. This space has a private entrance for your guests, a bar, and lots of Southern charm. There’s also a smaller porch area, known as the Park Room, which can accommodate up to 30 guests. For couples on a budget, you’ll find lots of dining packages to choose from, whether you’re looking for a cocktail-style event (starting at $11 per person for three hors d’oeuvres) to a plated dinner (starting at $30 per person). 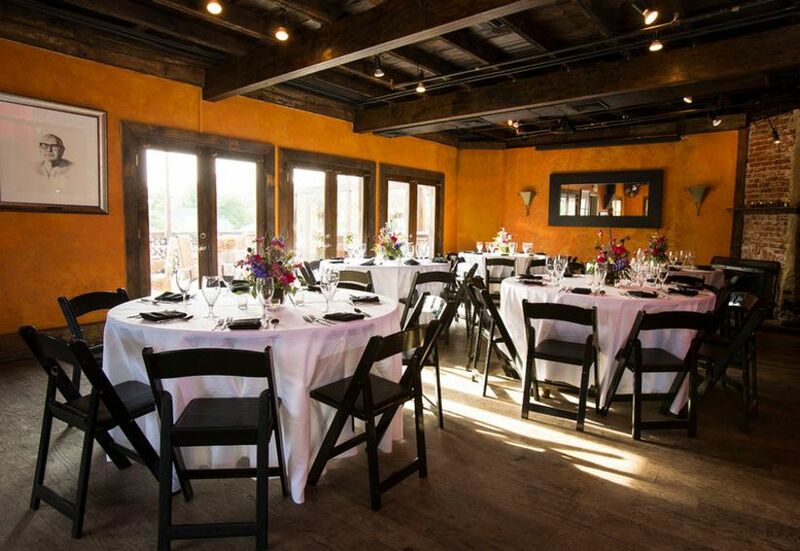 You can also rent audio-visual equipment through the restaurant for that rehearsal dinner photo slideshow! Located in Sandy Springs, this rehearsal dinner venue in Atlanta has a private dining room that can host up to 40 guests for a more intimate event. If you’re hosting a larger event, you can rent out the entire restaurant (including the outdoor patio!) which can accommodate up to 150 people. You and your guests will love the Southern-style comfort food, which can include buttermilk fried chicken, shrimp and grits, and meatloaf. You’ll also love the rustic décor, and the super-cool Barrel Bar. This is also a great spot for other events before your special day, including bridal showers or bridesmaid luncheons. 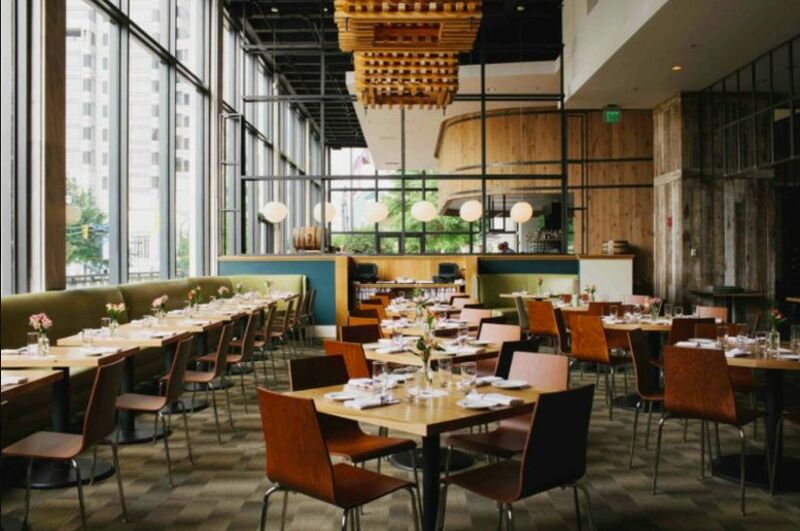 Whether you’re hosting an intimate rehearsal dinner for 15 of your closest family and friends, or a giant bash for 500, this restaurant on Peachtree Street is an ideal rehearsal dinner venue in Downtown Atlanta. In particular, we like the Chapter and Verse private event rooms that can be combined for events of up to 80 guests. 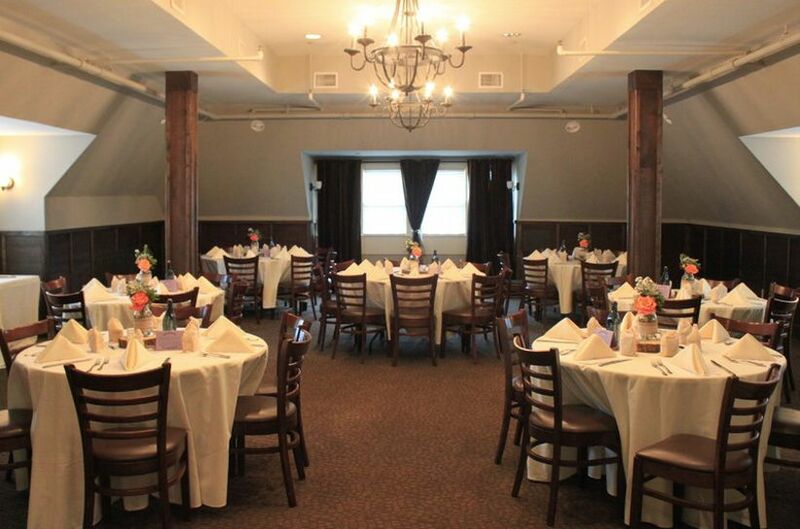 The Distillery offers skyline views and can host seated rehearsal dinners for up to 60. The restaurant is well-versed in hosting large groups (they’ll even handle your audio-visual needs! ), and you’ll love the cuisine’s Southern flair. 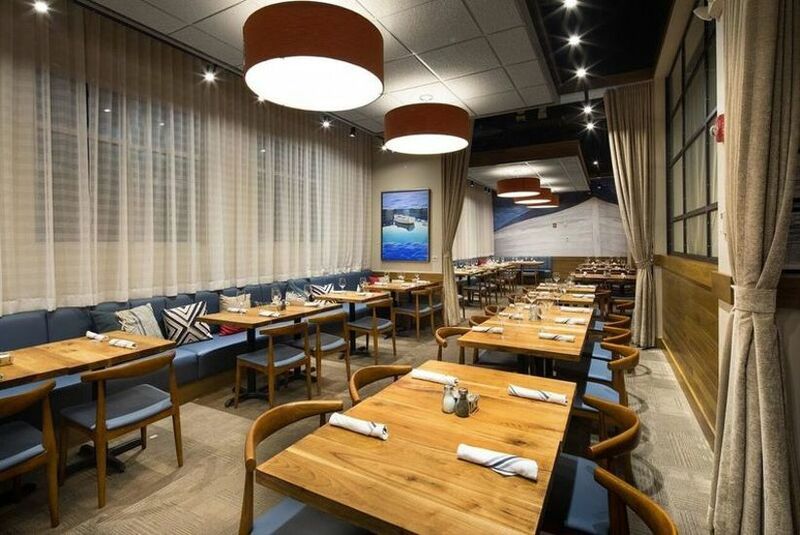 Just north of Atlanta in Peachtree Corners, you’ll find this highly-regarded restaurant, which offers four private dining rooms (including a garden patio!) and modern décor. You’ll find such amenities as included flatware, linens, china, and custom-printed menu, as well as free parking. With a capacity of 70 guests, Noble Fin Events offers several menus to choose from, which include favorites like pan-seared diver scallops, filet mignon, and more. 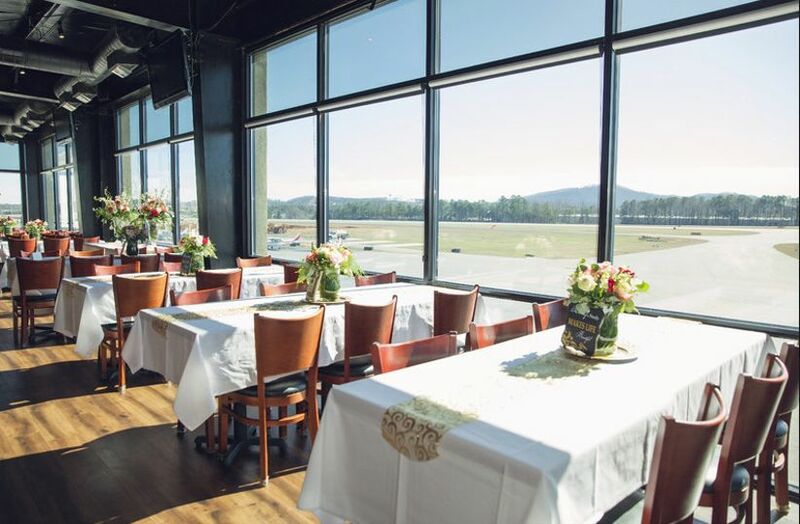 If you’re looking for a unique space for your rehearsal dinner, this restaurant, which features super-cool views of planes taking off and landing at McCollum Airport, is worth a look. Elevation Chophouse & Skybar has three private event spaces, and can seat up to 90 guests in the largest room—all with those incredible views! Couples rave about the attentive staff and delicious food, as well as the out-of-the-box setting. 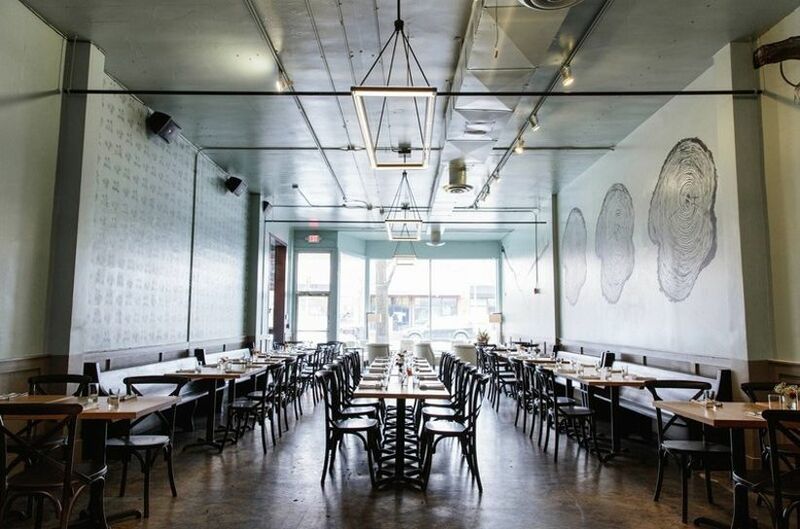 This restaurant also specializes in brunch, so it’s a great spot for post-wedding brunch or bridal showers.